Fit Gym is the most powerful solution for your Fitness\Gym Website. It has all you need create a professional website for Gym, Fitness Clubs, Crossfit Boxes, Sports & Health Websites, Personal Trainer and any other sports businesses you want. Building your personal sports & gym website has never been easier. With Fit Gym you can create awesome, modern, beautiful and a creative looking sport websites. This Adobe Muse theme is the best solution for any kind of sport business you run. We chose stylish typography and made modern and attractive looking design that gives you the best possible presentation of your business. You can change colors, texts, objects or replace the images in a few very easy steps. Wow, looking great, good job guys! 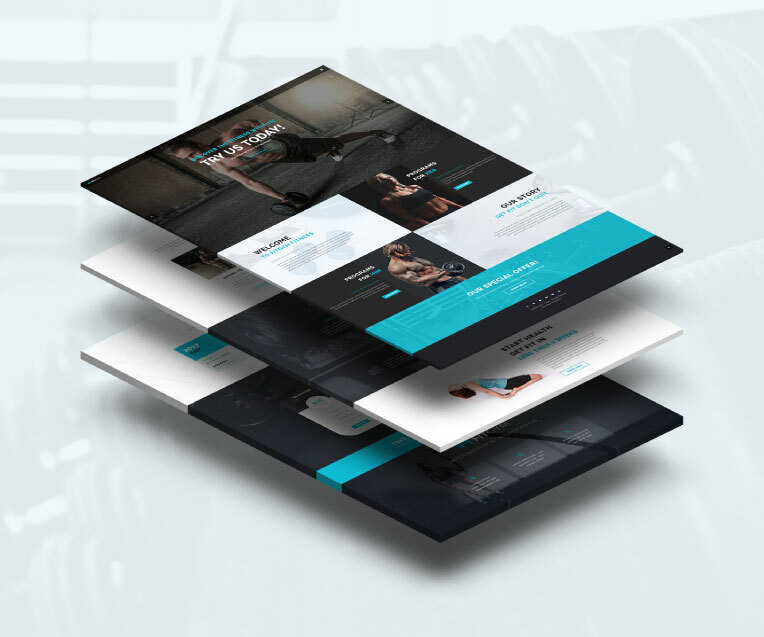 With Fit Gym you can create awesome, modern, beautiful and a creative looking sport websites, fitness websites and gym websites. This Adobe Muse theme is the best solution for any kind of sport business you run. We chose stylish typography and made modern and attractive looking design that gives you the best possible presentation of your business. You can change colors, texts, objects or replace the images in a few easy steps.